Are you at Danger From Illegal Police Searches of Your Electronic Devices? Home / Criminal Defense / Assault Offenses / Are you at Danger From Illegal Police Searches of Your Electronic Devices? Criminal Defense Attorneys are here to protect your rights with offices conveniently located in Trenton, Pennington, Philadelphia, and Bensalem. 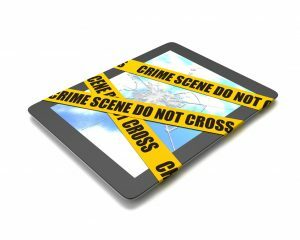 Technological innovations have brought with them vast changes in the investigative techniques used by law enforcement. Laws that were written to safeguard our privacy from unreasonable government intrusion and prying have had a hard time keeping up. Safeguarding your digital footprint and privacy in the age of technological advancement has become a challenge. However, the 4th Amendment to our Constitution still limits the ability of police investigators to look into your private information without a warrant. We are ready to provide swift and effective legal service for clients in the Trenton, Princeton, Pennington, Lawrenceville, and Mercer County NJ county areas, as well as Bucks County, PA and Northern Philadelphia. To speak with one of our attorneys today in a free and confidential consultation regarding your case give us a call at 609.528.2596 or contact us online. Being indicted on any criminal offense is a serious situation. For most of us the legal system can be very intimidating and the potential for loss of freedom, finances and property is enough to cause anyone great concern. However, even if you have been charged with a crime our Constitution grants us all the rights that should be honored by law enforcement. The law firm of Kamensky, Cohen & Riechelson has more than four decades of experience defending clients who are facing criminal charges across Mercer County and Bucks County areas. Our attorneys will help you through the often complicated legal process with the goal of defending your freedom, your property and your finances. Talk to an attorney if you believe you have been subjected to an illegal search and your constitutional rights were violated. If you have been charged with a crime as a result, we could determine if there were any illegal practices during your arrest or in the investigation leading up to your arrest. When we prove that your rights were violated by law enforcement it could result in evidence being suppressed or thrown out of court, and a civil suit being filed to ensure your rights are restored. If someone unlawfully spied on you, your business, or illegally gained access to your private data and violated your right to privacy, you need an experienced lawyer to aggressively defend you and protect your rights from further violation. Data location collected by wearable tech (e.g., Fitbit, iWatch, etc) have been used by law enforcement investigations which led to murder convictions, as well as exonerations. Most recently it was discovered that the previously little-known Apple Airpod Live Listen feature designed to help the hearing-impaired, is a game-changer because of its ability to enable law enforcement and criminals alike, to eavesdrop on people. Modern home security devices can record not only strangers who may try to steal packages from your porch, but also you and your invited guests. Voice-controlled personal assistants (e.g., Alexa, Siri, Google, Cortana, etc), infant monitors, and smart refrigerators, are always on and potentially recording or transmitting. And thus lies the problem. Internet connectivity leaves you and your data vulnerable to being hacked, intercepted or legitimately recorded. Since these devices are in the privacy of your home or businesses, they have the ability to capture our most candid or private conversations and actions. Law enforcement can also obtain information of potential recordings from Alexa or Siri, as in the case of a recent murder investigation an owner’s smart home device, by issuing a search warrant to Amazon. At issue, of course, is that despite the supposition potential recordings might be hopeful, until police actually listen to the recordings of this or similar devices, they do not know whether any such evidence actually exists or would be helpful in their investigation. The criminal defense attorneys of Kamensky, Cohen & Riechelson have extensive experience defending clients in Mercer County including Trenton, Lawrence, Princeton, and Pennington NJ. Our firm believes in aggressively defending our clients freedom, rights and property. You can rely on the experience we have cultivated since opening our doors in 1972. For a free and confidential consultation regarding your case, please contact us online or through our Trenton offices by dialing (215) 337-4915 today.